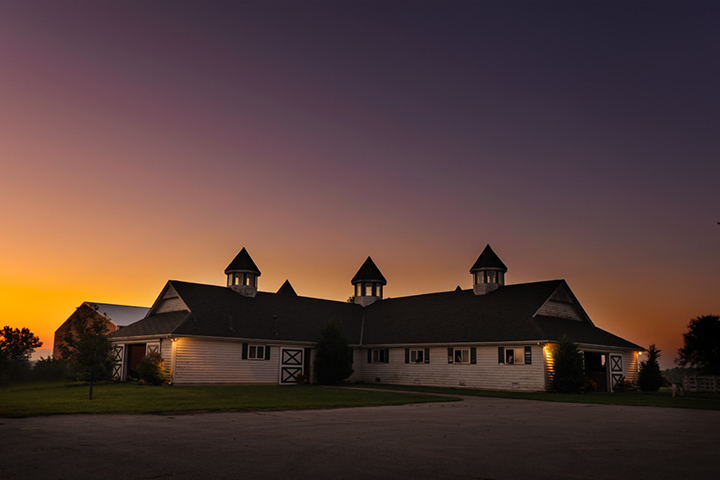 Our hilltop stable and arenas sit on a high point of the 20-acre Apple Hill Farm surrounded by rolling white board fencing. 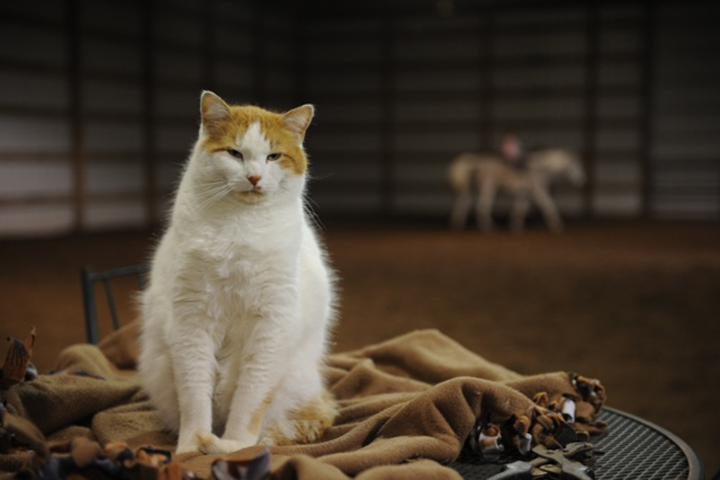 The 72’ x 166’ well-lighted indoor arena is conveniently attached to the stable. Two large outdoor entrances provide wonderful ventilation along with 16 ceiling fans for those hot summer days. Each stall is 11’ x 12’ with an exterior window. A secured tack room, tack-up areas, wash bays, two utility work areas, lounge, and public restroom complete the floor plan. 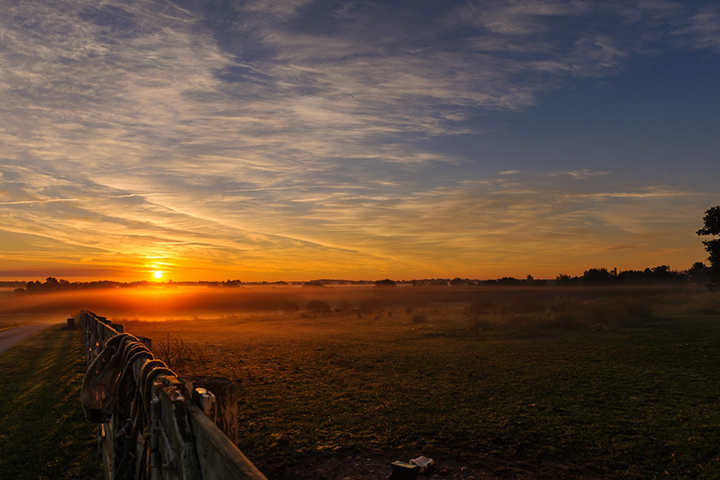 A security system and a fly-control installation add protection to the stable. We receive many compliments on our place and invite you to visit soon! 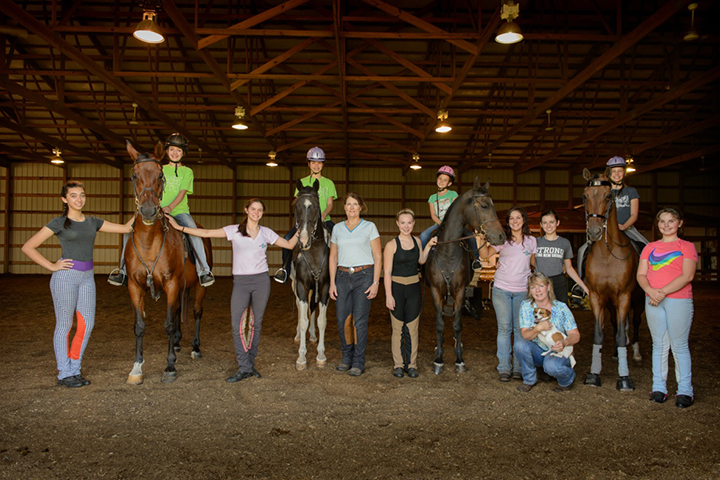 Since 1988, students have been coming from various areas of the nation to develop their equestrian skills under Libby’s instruction. Her students have achieved national championship titles in the both the U.S. and Canada, as well as invitational tryouts with The World Cup Team. 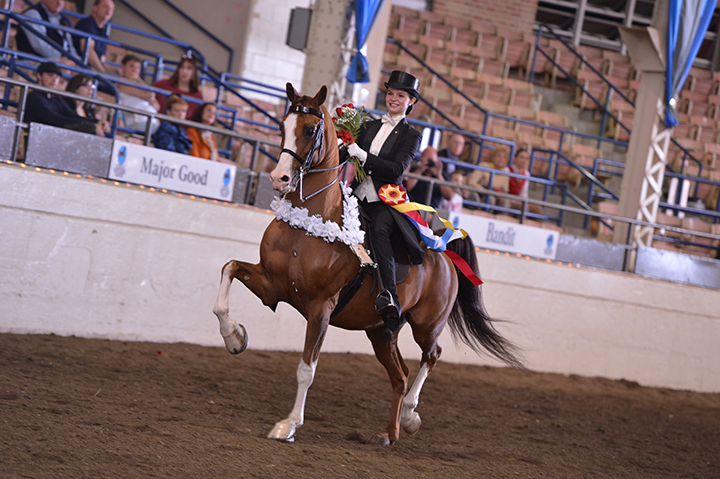 Enthusiasm, integrity and talent have earned her the respect and recognition from the Arabian industry’s peers by being nominated for Ladies’ Saddle Seat Trainer of the Year in addition to several nominations for Professional Instructor of the Year by the Arabian Professional & Amateur Horseman’s Association. A Springfieldian most of her life, Libby earned a business degree from Drury University. 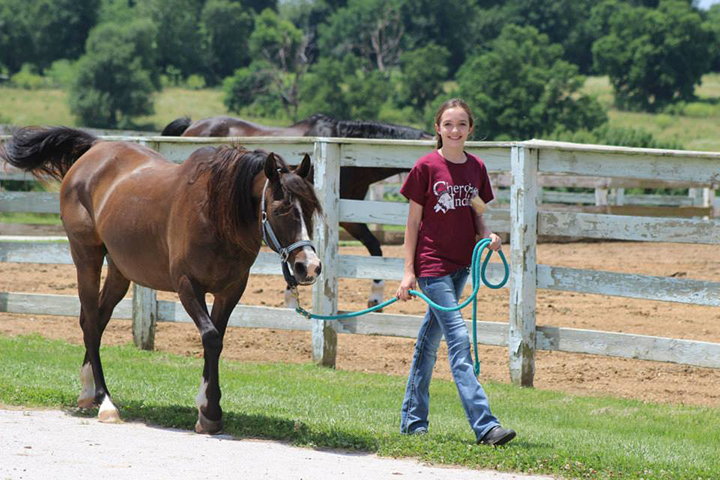 Libby plans to continue her career in the heart of the Ozarks, where she learned to ride as a child, winning area competitions and awards. 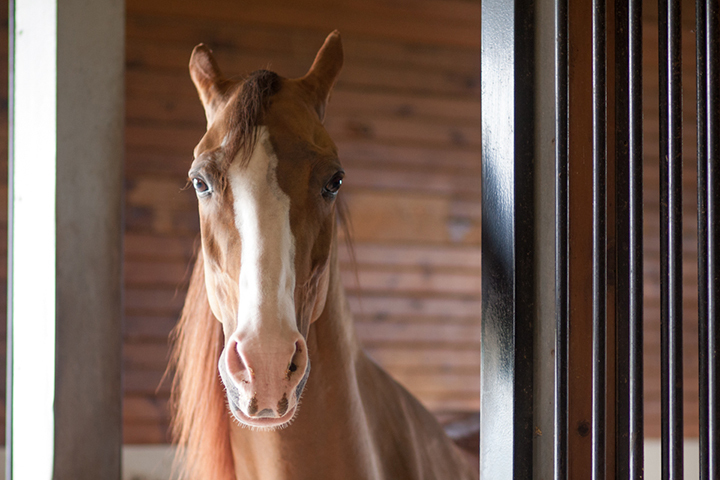 She looks to the future with much anticipation to further the riding expertise of her students and to welcome newcomers who share the common love of horses. 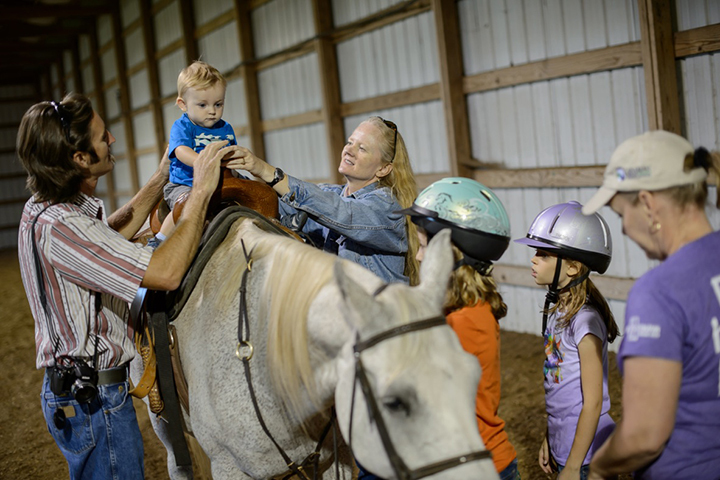 While riding and caring for a horse is enjoyable, much more can be gained from this experience. Learning to ride requires much patience, perseverance and even a good sense of humor. 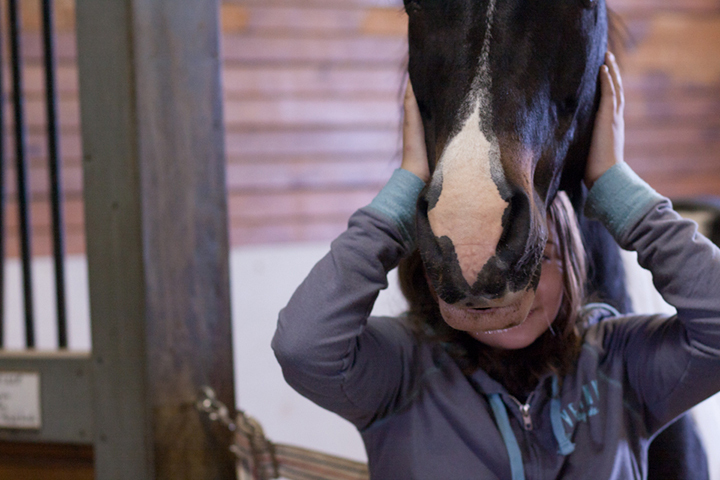 As riders practice, they also are developing personality traits which can be applied when facing other life situations. Horsemanship should be fun and is a wonderful opportunity to build character. Providing instruction to any age at any level is the heart and soul of our lesson program. 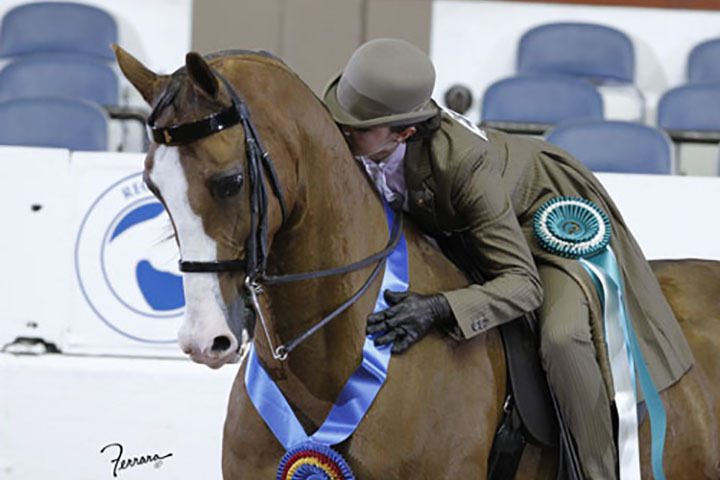 We cherish our 20 wonderful lesson horses that range from the gentlest of old souls to the advanced competitive show horses. 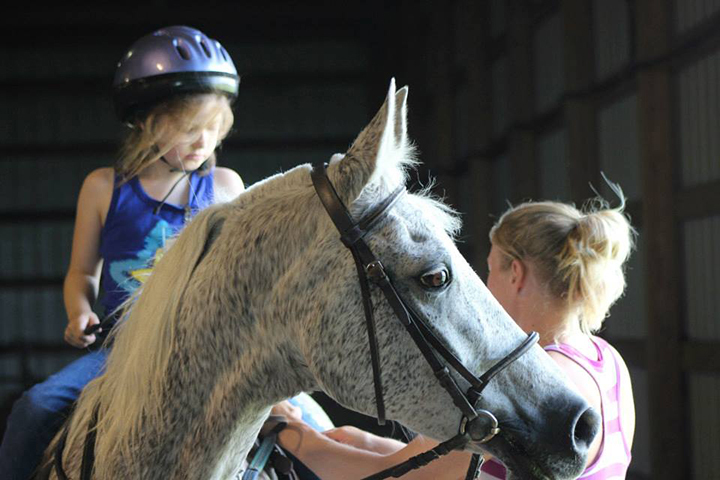 Lessons are an hour in length and includes usually 40 minutes of riding time. 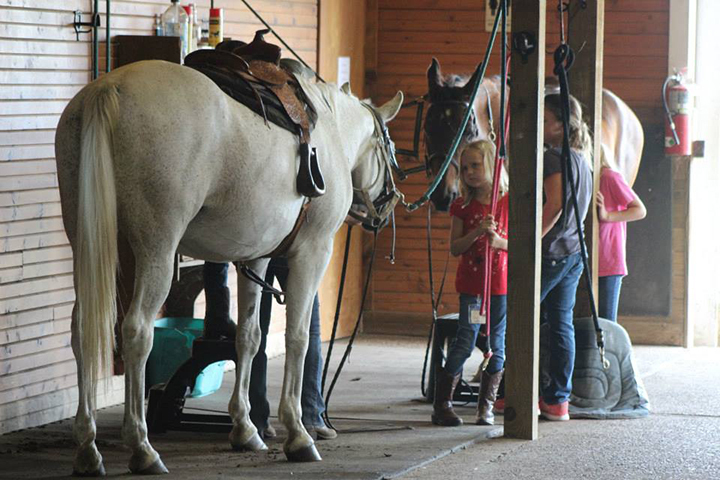 Each student takes their horse through the initial grooming and tacking up to cooling down and after ride care. Occasional trail rides bring variety to the usual arena setting. Entry level students are assigned private lessons until basic skills and control are developed. The option is available to continue in private instruction, move to semi-private lessons or join a group of usually three to four riders. Whether your goal is to achieve basic riding competence for a vacation on a dude ranch or to become proficient in the show ring, we would be happy to structure a course for you. Private, semi-private and group classes are available at various times throughout the week. 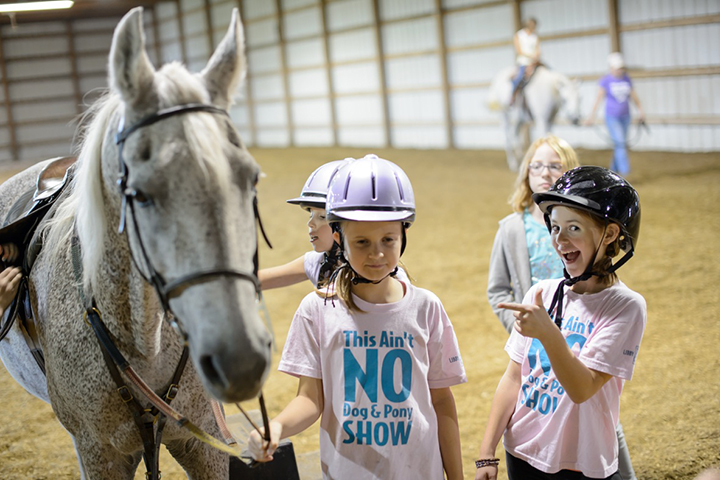 The Horse Training Center sponsors and hosts local horse shows several times a year in order that students may exhibit their accomplishments to family and friends. Ribbons and trophies are awarded to all participants. 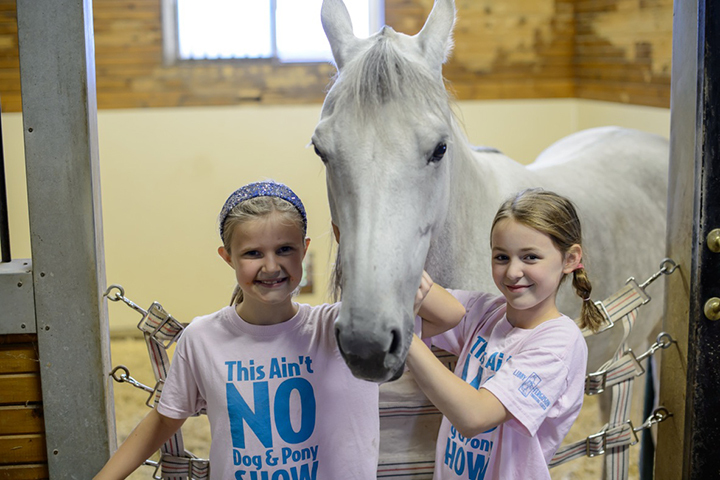 Students show their favorite lesson horses in classes especially designed for their level. Lead-line classes, game classes, & championship classes are also offered for all ages & abilities. 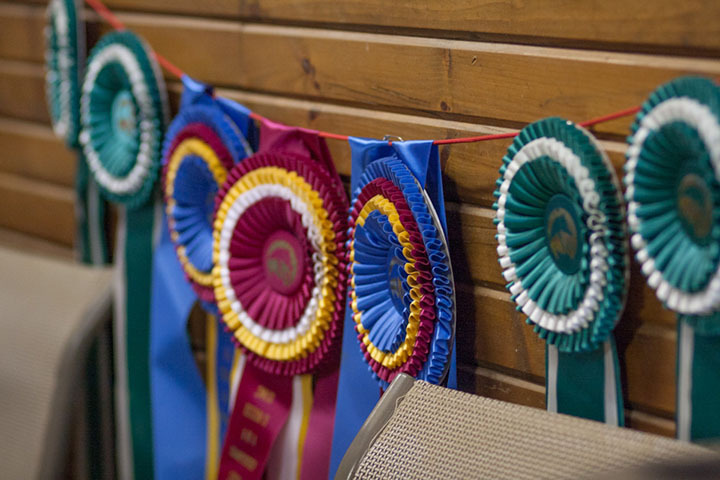 Other local stables are invited to attend which adds to the interest and competition. Only casual attire is allowed. 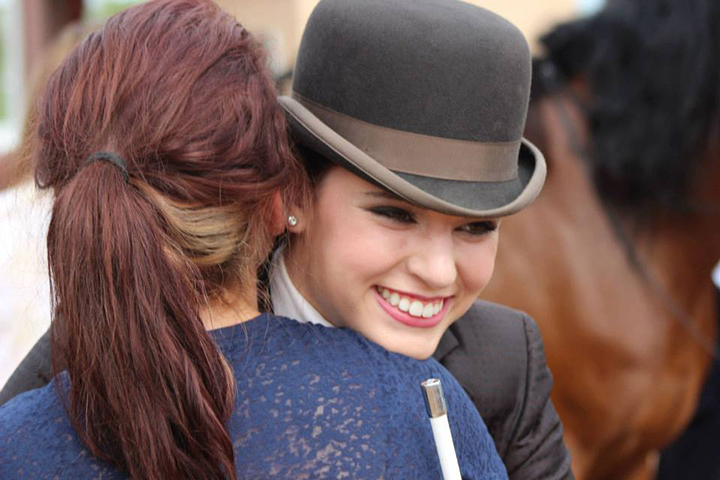 These events are a wonderful opportunity to build confidence and to gain experience showing. LFTC Students: $30 per class(includes entry fees). The training program is designed for Arabian horses to be conditioned and schooled for competition. Each horse that is placed in training to be shown in competition is individually assessed to verify its best performance potential. With her 30 years of professional experience, Libby has designed a training program for all levels of riders and their horses. Students have achieved national titles in the United States and Canada and have been invited to tryouts for the World Cup Team. A special fun feature for all ages at our facility is the party program. 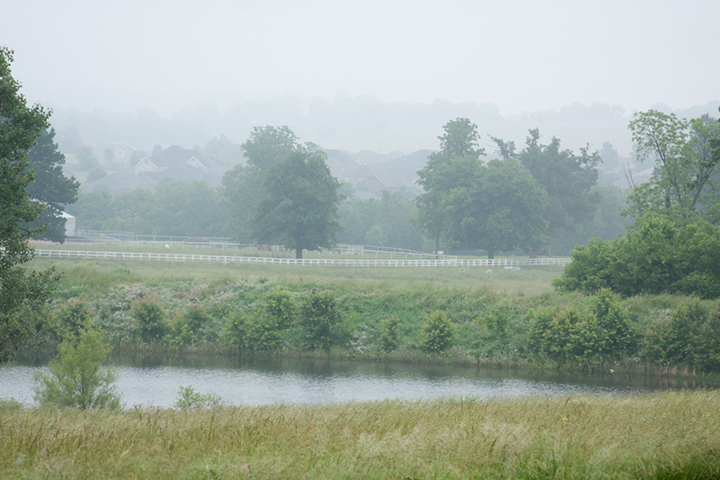 Our truly traditional “Kentucky” setting greets guests as they arrive. 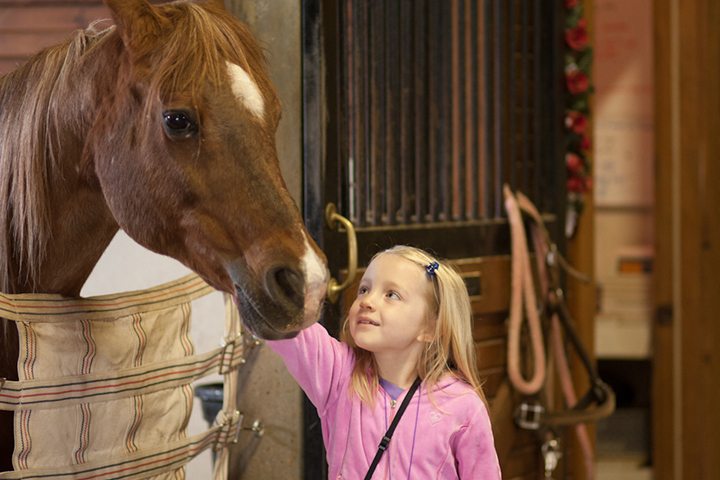 Folks enjoy seeing our show horses and being in a beautiful architecturally designed stable. Both indoor and outdoor accommodations are available. Our hostess area includes tables, chairs, refrigerator, microwave, coffee maker and heaters in cold weather. All rides are supervised. Prices are $125 for one horse for one hour. Additional horse/s in that hour is $50 each. 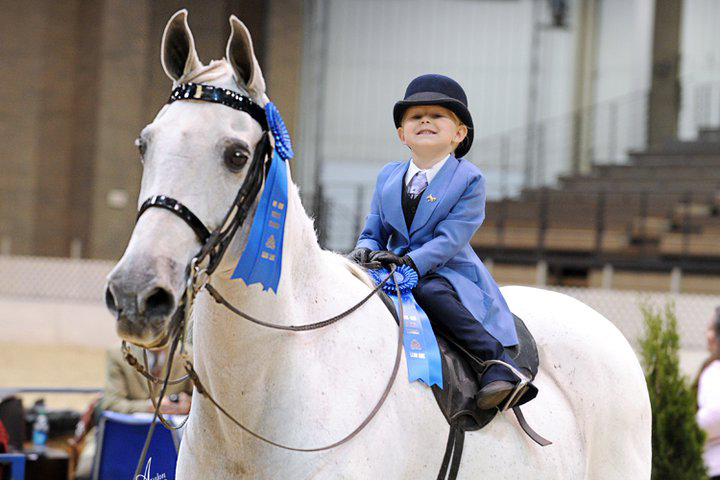 We suggest four to five kids per horse. If you choose to stay to open presents and have cake you are not charged for that time just asked to keep it under one hour so the party would be two hours total. We do not supply decorations or food. Please no balloons. 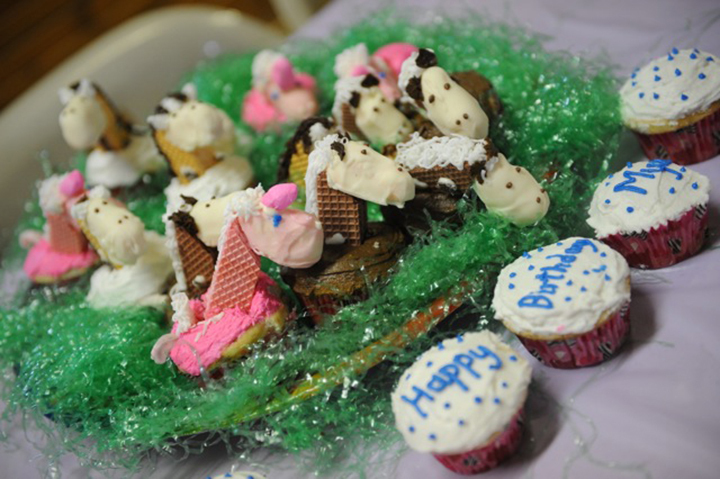 Call Libby (417-894-8221) to discuss your party and to make your plans early. For that special present we offer gift certificates for lessons and day camps! Now taking enrollment for our 2019 Summer Camps! 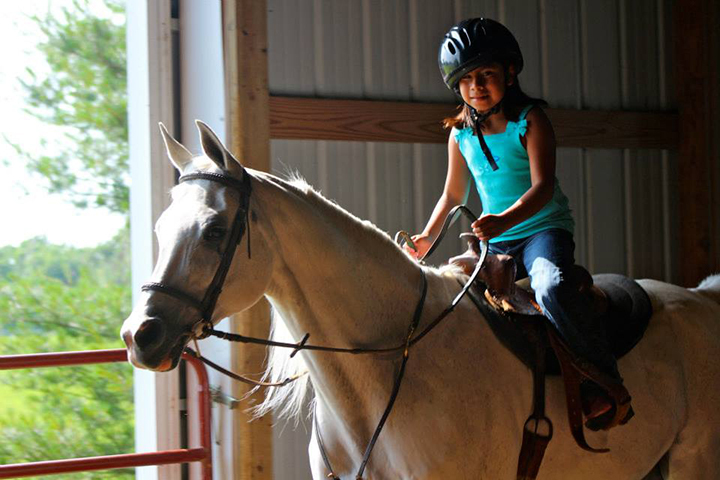 Each summer we offer riding camps for all ages and skill levels. 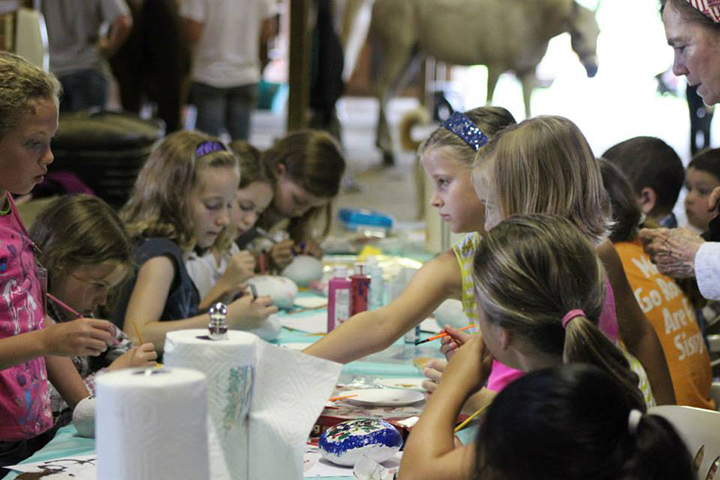 Camps are designed to be a great first introduction to the world of horses. No prior horse experience is necessary! 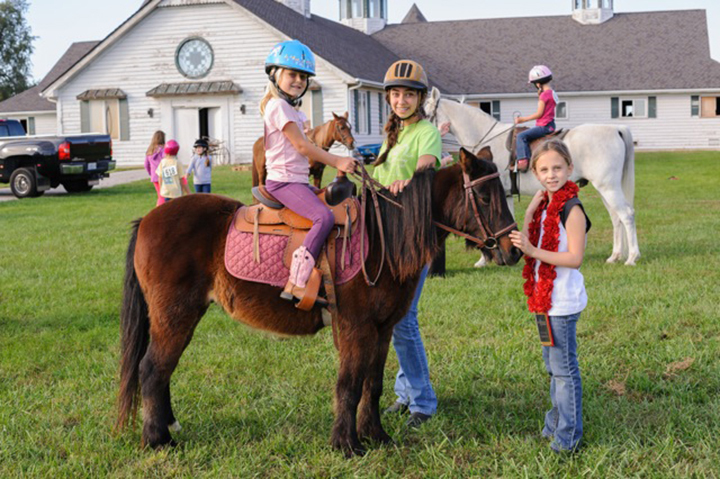 Campers will take part in all aspect of horse care as well as 2 daily group riding sessions and have time for a little “horsey play” too. 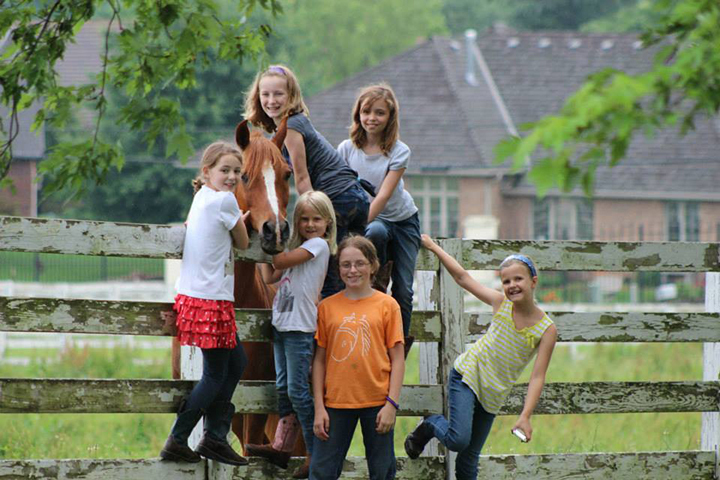 Our day camps promise to be a horse lovers dream come true! Camps are from 9:00 am until 3:00 pm, Monday through Friday. For your convenience early drop off and late pick up are available at no additional charge. The camps are designed for ages five years and older. The prices are $400 for the week or $100 per day. 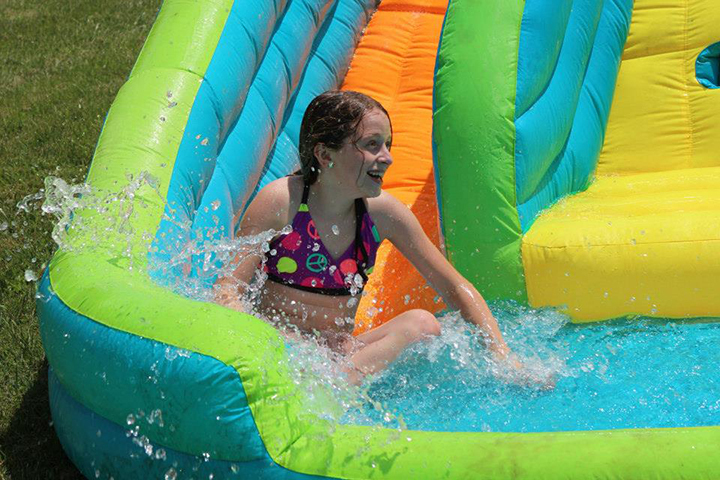 Campers need to bring a sack lunch, jeans, boots and swim suit & flip flops. If you have questions or would like to go ahead and enroll in our program, please call Libby at 417-894-8221. Limited space is available.